Chief, Producibility and Value Engineering, U.S. Army Armament Research, Development, and Engineering Center, Picatinny Arsenal, N.J.
Staff Engineer, U.S. Army Production Base Modernization Agency, Picatinny Arsenal, N.J.
Senior Executive Fellows program, John F. Kennedy School of Government, Harvard University. In 1987, Mr. Melita joined the Office of the Secretary of Defense after nine years as an Army civilian. In August 1997, he was promoted into the Federal Government’s Senior Executive Service and was assigned as the Director of the Office of Munitions. In October 2002 a reorganization challenged him to provide leadership over the Office of Land Warfare as well. In this role he was responsible for the vertical integration of warheads, explosives, and fuze technologies into munitions systems, and with the development and acquisition of all major land combat acquisition programs including Army and Marine Corps tracked and wheeled vehicles and rotary wing aviation systems and programs. Mr. Melita is a three-time recipient of the Office of the Secretary of Defense Medal for Exceptional Civilian Service; a recipient of a Presidential Rank Award as a Meritorious Executive; and a recipient of the National Defense Industrial Association’s Gold Medal. 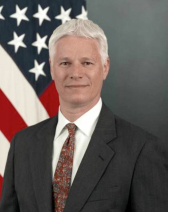 Mr. Melita is a member of the American Helicopter Society and the Marine Corps Aviation Association; he serves on the Board of Directors of the Robotics Technology Consortium and as a Senior Advisor to the National Warheads and Energetics Consortium.